While many leather jackets have long been regarded as part of the counterculture crowd, wool has been making a comeback. Much of it has to do with its rugged roots. Wool coats always feel well worn and weathered while leather, unless you own a bike, doesn't always convey its toughness. Andrew Marc has put out a couple of standout designs this winter that do. One of them features Italian wool with a shadow plaid button-down front. Shadow plaid is a style that understates the pattern, making the coat look even more worn. Along with the pattern, the Parker, as it's called, features a knit collar, removable bib, and leather trim detailing. The lapel is held together with a single row of buttons (and an interior zipper). There are four outer pockets, but only two are really functional. All together, it creates a working class rugged look. Andrew Marc adds rural ruggedness to urban design. By no means is the coat a country stand in or a replacement for the back country. This design is much more urban functional, with the right amount of wool to keep someone warm between their transportation and destination, without having to take everything off. Along with the Parker, there are other styles as well. And while it doesn't have the same all-around charm, the mixed medium camel hair silk/wool blend with cleaner lines provides for another top coat alternative. It too features a knit bob and leather pocket detail. Some other details include a notched standing collar, interior zipper for added warmth, and three interior pockets to keep your personal belongings. The best aspect of either coat is much simpler. They are incredibly warm and highly water resistant. And the wool is Italian, so you can anticipate better weight, firmness, and construction. Andrew Marc has several wool coats for women too. While the designs feel more sixties retro as opposed to rugged and timeless, the toggle front coat makes a different kind of statement. Made with a virgin wool-polyamide blend and lined with polyester and fur, the coat is a much softer counterpart. Some of the features include a stand collar with two closures, concealed front zipper behind the toggle buttons, and two front slit pockets. The cut has a slightly sixties feel to it, but learning toward a larger size will provide a more rugged style than the photo suggests. Another detail to keep in mind is that the fur is real, not fabricated. A few graphs about the brand Andrew Marc. Andrew Marc has always had an urban appeal. You won't see many of its designs in the country. Even so, you have to give the brand credit for keeping the look the rugged and artisan feel authentic. It's not easy to do, but they've done it for 30 years. The name, of course, comes from company founder Andrew Marc Schwartz. 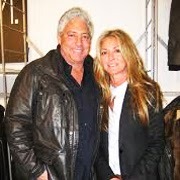 He founded the company with his wife Suzanne in 1981 as a leather goods label before being acquired by the G-III Apparel Group, Ltd. Its first fashion release was a fur-lined lambskin bomber jacket that became the cornerstone of its success. Along with its founders, Chris Gbur has kept the intent of the brand largely intact. He has served as an in-house creative director for over 25 years. He is responsible for the brand, image and ads. 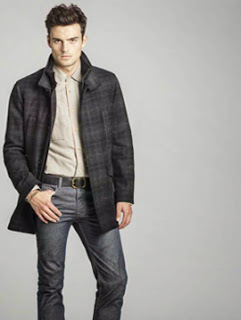 Wool Coats By Andrew Marc Warm Up 6.2 On The Liquid Hip Richter Scale. Andrew Marc may have started as a leather goods company, but its wool line has continued to develop nicely over the years. The only downside to this year's lineup, in my opinion, is the women's options are nearly as strong as the men's. The Toggle coat is an obvious exception. It looks even better with a bulkier fit. You can find a full line of wool coats from Andrew Marc at Bloomingdales, which recently discounted them. The retailer also carries a full line of the designer's leather and down outerwear jackets too. Conversely, while styles vary, Andrew Marc coats sometimes appear on Amazon and the brand supports its own online storefront.